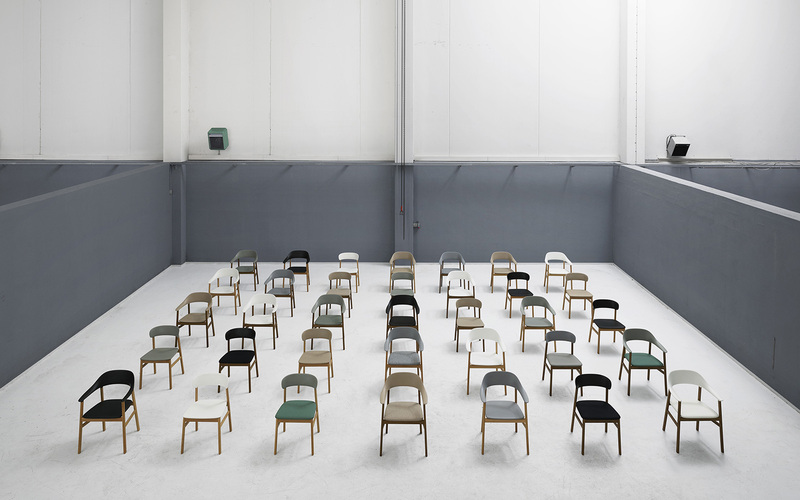 Danish design traditions have left a clear mark on Simon Legald’s chair series, Herit, which is short for heritage.The simple and honest style that characterizes Danish furniture history stands as a clear frame of reference for a collection draped in nostalgia. 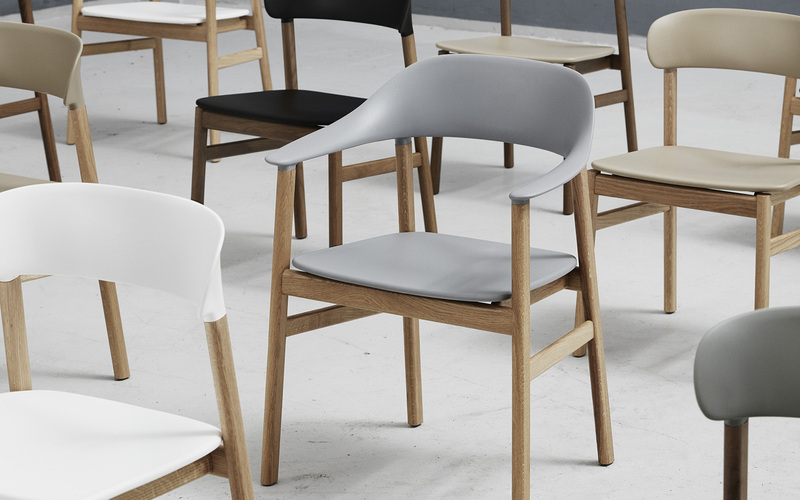 But Herit is just as much a design that looks forward. 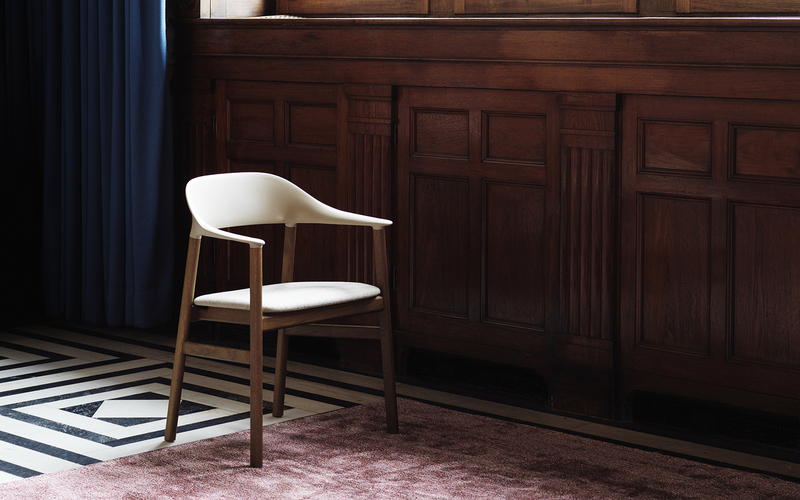 Innovative production methods, new material compositions and timeless silhouettes give life to a chair that stands tall on its own. 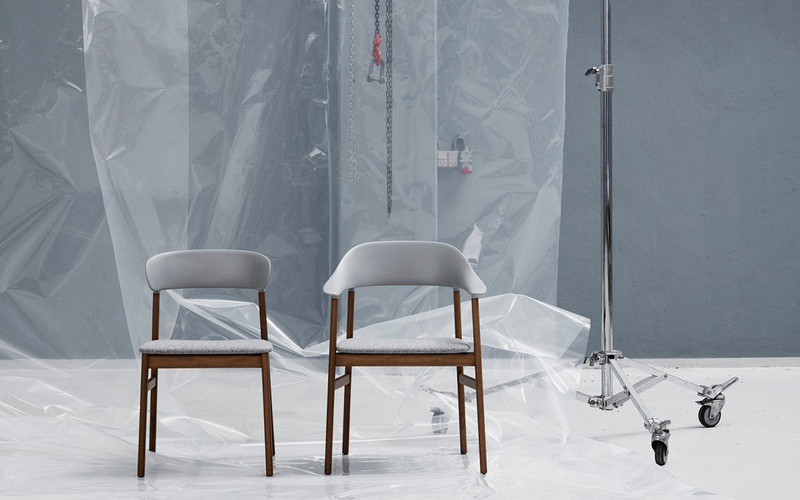 Herit reflects Simon Legald’s love of classic Danish furniture craftsmanship, but rose from a desire to design a versatile and strong chair that unites the different eras of Danish design. 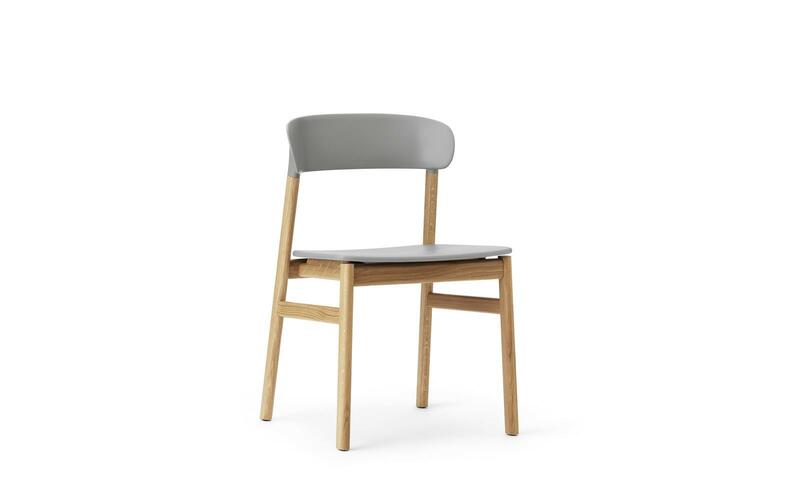 A chair in which oak and plastic merge in tactful synergy, to create a hard-wearing, maintenance-friendly and accessible design, made for modern life. 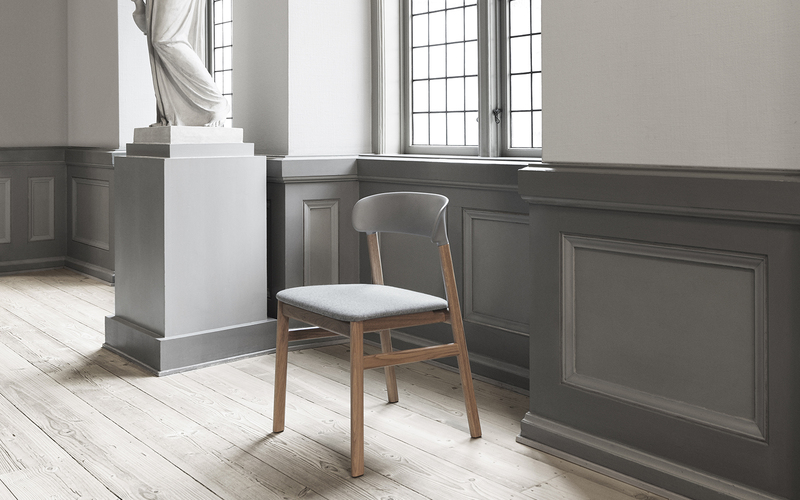 The path of the curves is by no means random; it is precisely designed to follow the shape of the body and create the correct support in the seated position. 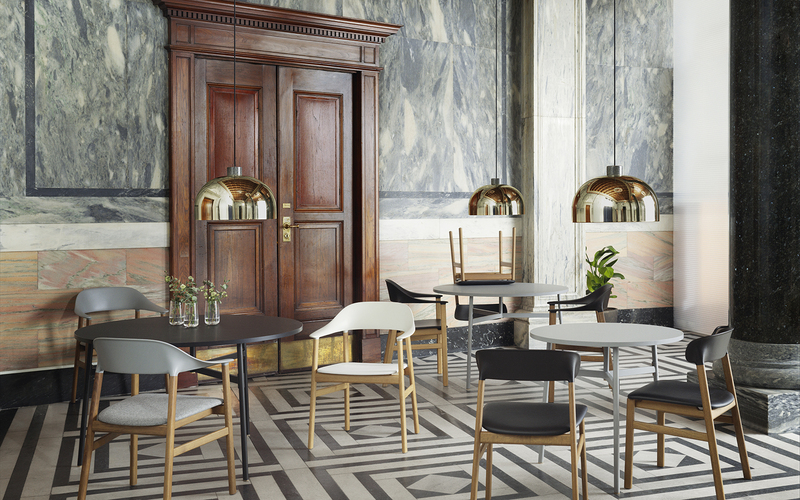 Herit is a chair that truly unfolds its beauty as you move around it and observe the transitions of shapes.